As the first P.S. du Pont Fellow, Colvin Randall knows the history of Longwood Gardens better than anyone. He first joined Longwood in in 1973 as a Graduate Fellow, and has served as the public relations manager and historian/information manager since then. He’s spoken all over the world about Longwood Gardens, its history, magnificent garden features, the evolution of its bucolic landscape, and the performing arts in the Gardens that take place throughout the year. He is also the author of three books on Longwood Gardens including the centennial publication, Longwood Gardens: 100+ Years of Garden Splendor. Colvin holds a Master of Science degree in Public Horticulture Administration from the Longwood Graduate Program at the University of Delaware and holds a Bachelor of Architectural History from the University of Virginia. 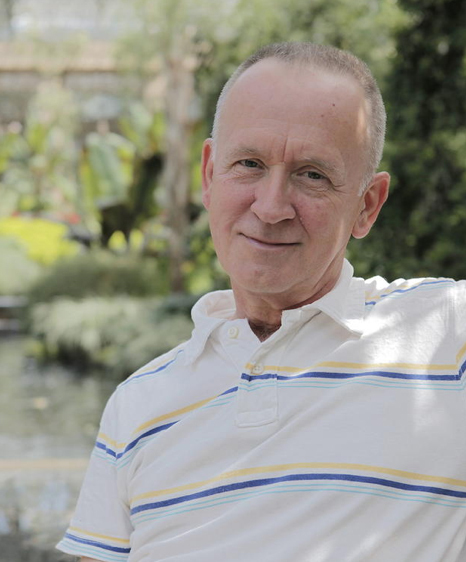 After graduating from the University of Virginia in 1972, Randall studied horticulture at the University of Maryland in the morning and worked afternoons at Hillwood as a gardener during the summer of 1972. He is greatly indebted to former head gardener Earl Loy for that opportunity, which helped him win a Longwood Graduate Fellowship the following year. Colvin has frequently traveled to Europe to visit gardens and fountains. In his free time, Colvin can be found playing the organ and harpsichord, collecting and reading books on the arts, traveling and cooking. The winter chill of February means spring is not far behind. Gather inspiration and immerse yourself in the beauty of some of America’s most splendid homes and gardens with this four-part lecture series.